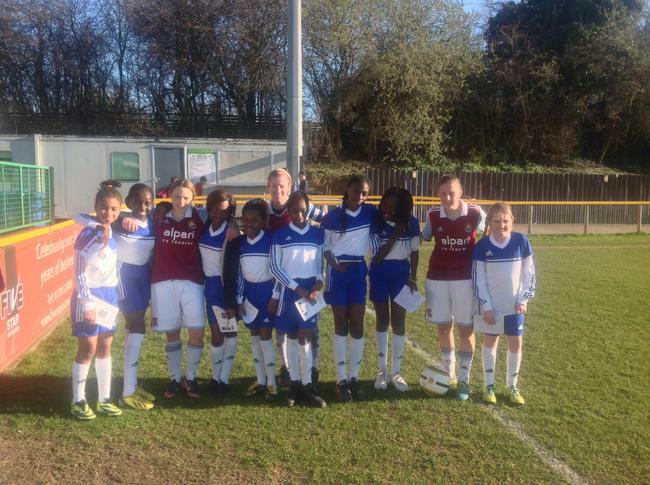 Our Year 5 & 6 Girls' Football Team were invited to be mascots for the day at a West Ham Ladies football match. The girls arrived and got changed into their new kits. 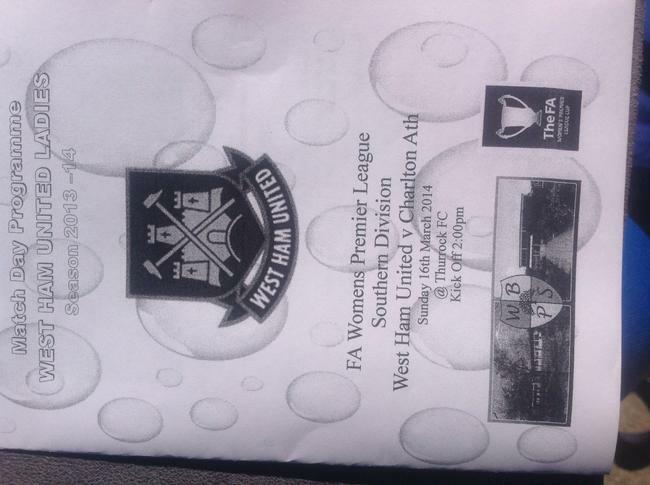 They were provided with a free programme for the match. 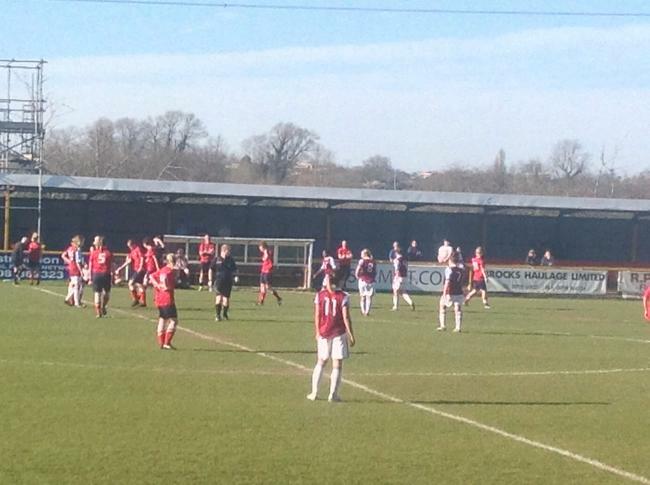 The team met the players and then walked onto the pitch with the West Ham Team. 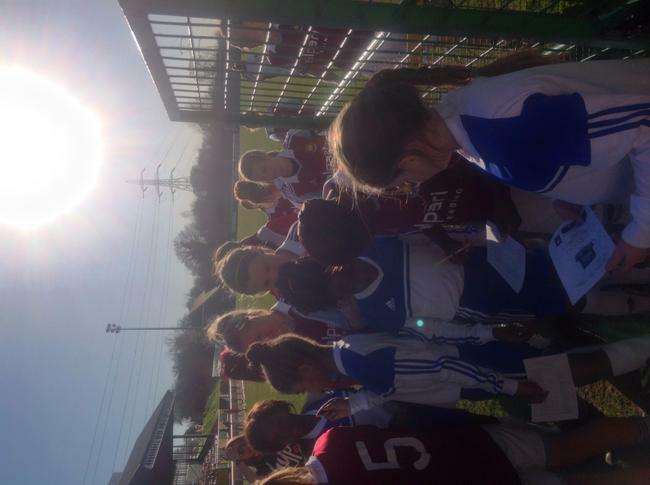 Our girls joined in with the respect hand shake before the match and then were invited over to the West Ham huddle ready for the team talk. 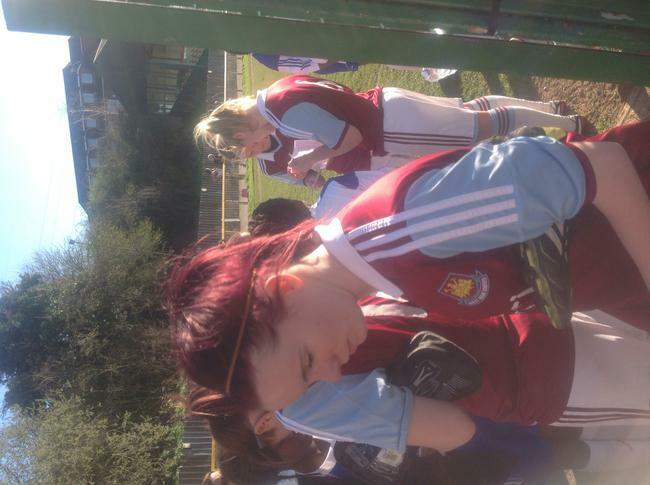 The girls then watched and supported West Ham throughout the match, having fun whilst chanting. 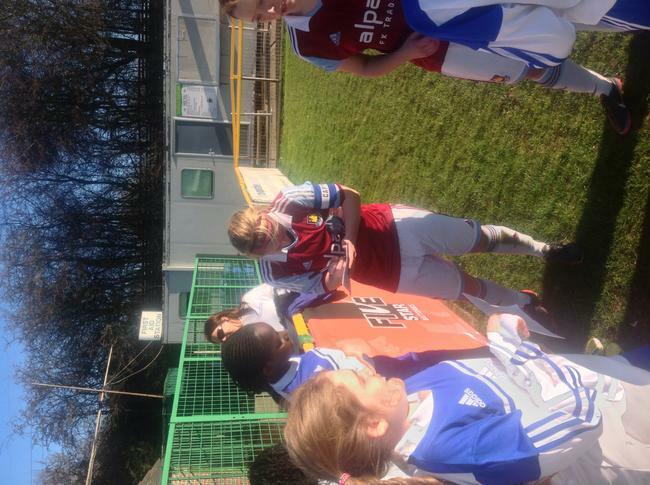 After the match the girls went and had photos, they also managed to get quite a few signatures. The day ended with the ride home in the minibus to return to school. 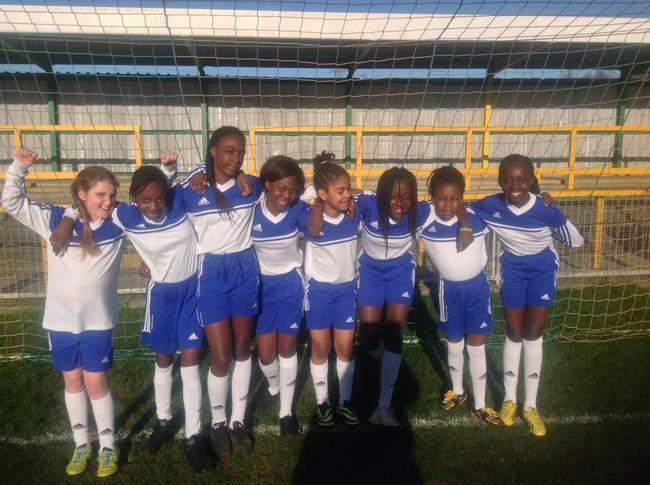 Our Year 3 and 4 girls were invited to Sporthouse to take part in the Essex FA Futsal Tournament. 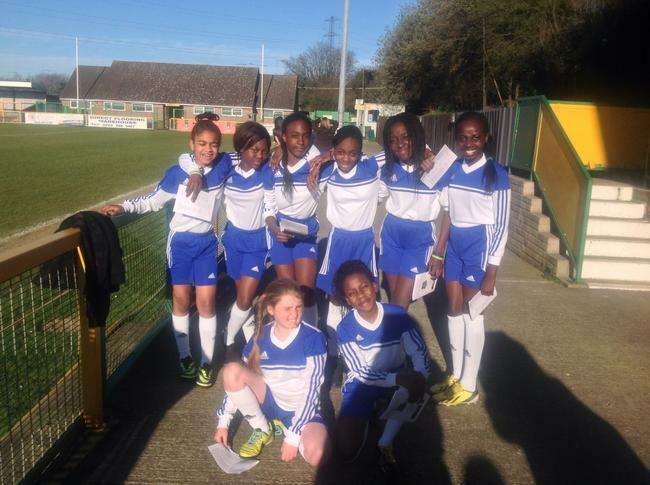 This event provided the opportunity for the girls to try new skills and meet other children from other schools. The girls had lots of fun playing this sport. Ellie was delighted to be chosen as a pupil who won the Essex FA Respect ball for our school. 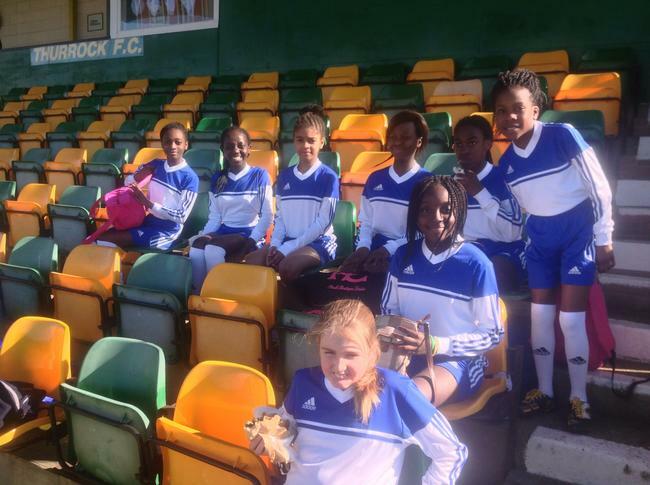 Well done to all the girls for demonstrating good team spirit and a positive attitude towards a new sport. 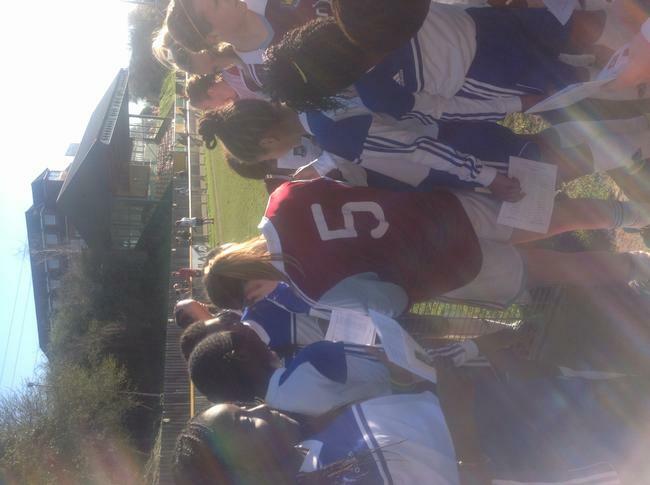 The year 5 and 6 pupils who attended our school football trials last week were invited to watch West Ham Ladies vs Keynsham Town today, Sunday 22nd September 2013. 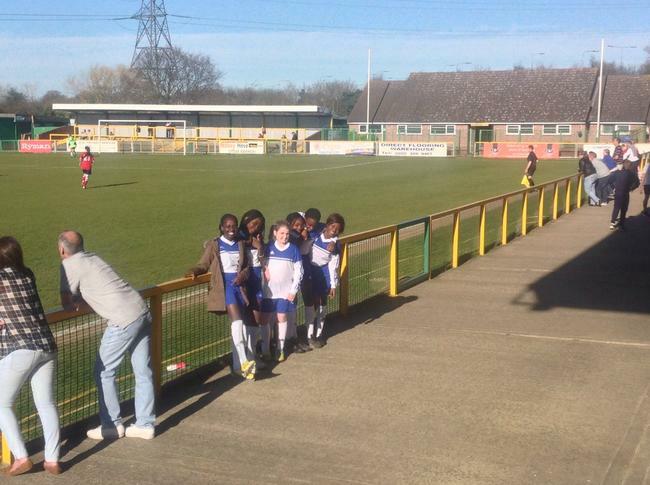 We met at school at 1pm and headed off in our school min-bus to Thurrock FC’s ground where the match was being played. 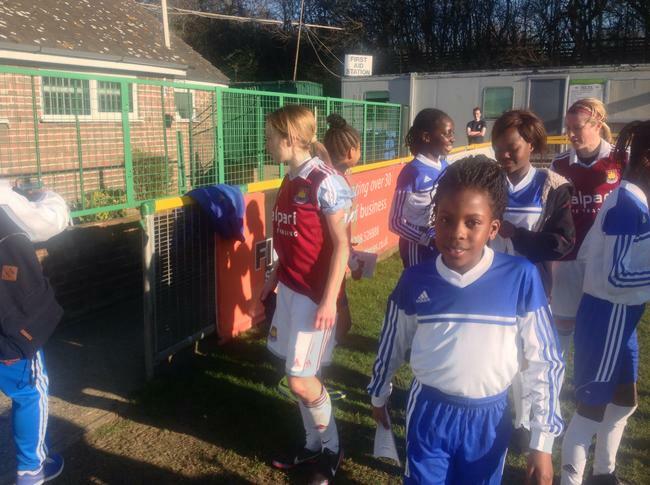 The children watched the ladies warm up and then took their seats and began to support the West Ham Team vocally. 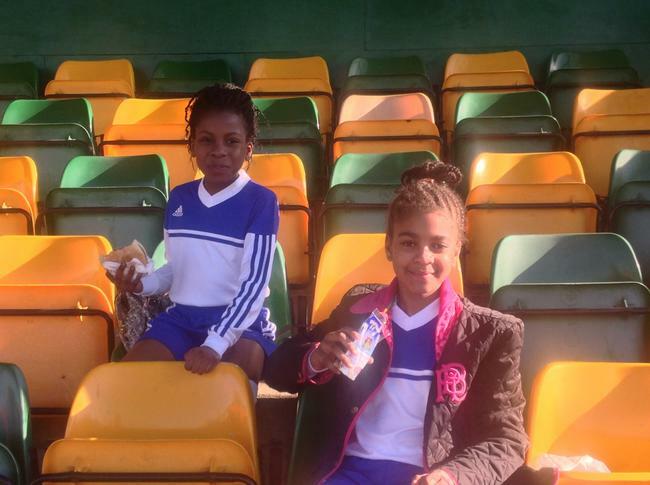 Our Year 5 and 6 pupils not only received free entry, but also were treated to a free match programme and a drink of their choice at half time. To top off this wonderful experience, after the game they were invited on the pitch to meet the players. 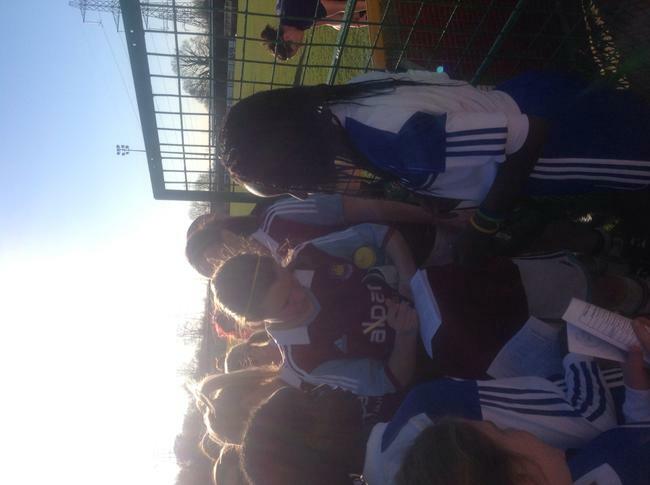 A big ‘thank you’ to West Ham Ladies for this great opportunity! We had a fantastic time!!!! Our goalkeeper being inspired by WH! Before the match, showing respect! On Saturday 14th September 2013 some of the Year 6 children travelled to Sheffield to watch the Sainsbury's School Games 2013. The children had an amazing day! We began by meeting at school at 7am and travelling by coach to Sheffield. We arrived at the Don Valley Stadium to watch the Athletics finalists. Our children were invited over to the England's South East Team section where they met many of the athletes, they chatted about the events, asked for autographs and had photos with the athletes. Throughout the day, the children really enjoyed cheering the team on and many of the athletes came back to thank the children for their support. What an fantastic start to the day! We then made our way through the local park where the children went into the Sainsbury's Active Kids section. They made smoothies, sent good luck wishes, played football target shooting and finished off with participating in a game of wheel chair basketball. After this, we headed to the Motorpoint Arena where we watched Team Ireland verses Team Wales competing in the Wheelchair basketball. 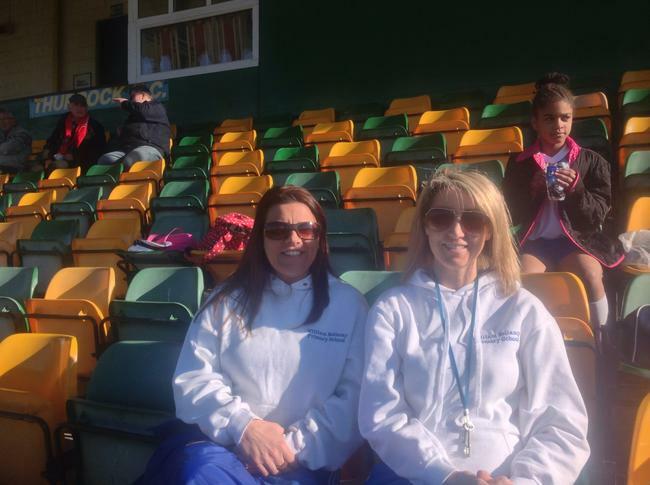 This was a lovely arena and the children really enjoyed watching a sport which they had just tried themselves. The end of the day was finished off with un unexpected surprise, one of our staff member's son was competing in the final of the fencing at the English Institute of Sport, Sheffield. We were lucky enough to be invited to watch this. Again, our children chanted and cheered, this time to support Rajan Singh who had an amazing come back from losing 7-2 to win gold 15-14. Rajan came over to thank William Bellamy's Year 6 children for all their support, he said it really helped him achieve! Finally at 9pm we were back on the coach and heading home, all of the children had a inspirational and fun packed day and gradually one by one fell asleep. One of our children wearing a gold medal! Our day in Sheffield supporting the William Bellamy Team at wheelchair basketball, having healthy smoothies, football target shooting, playing wheelchair basketball and sending good luck messages to England's South East team. 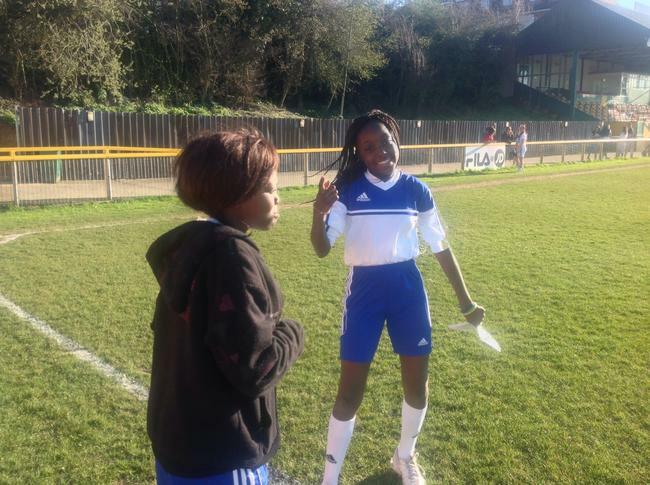 Year 5 and 6 Girls football trials.